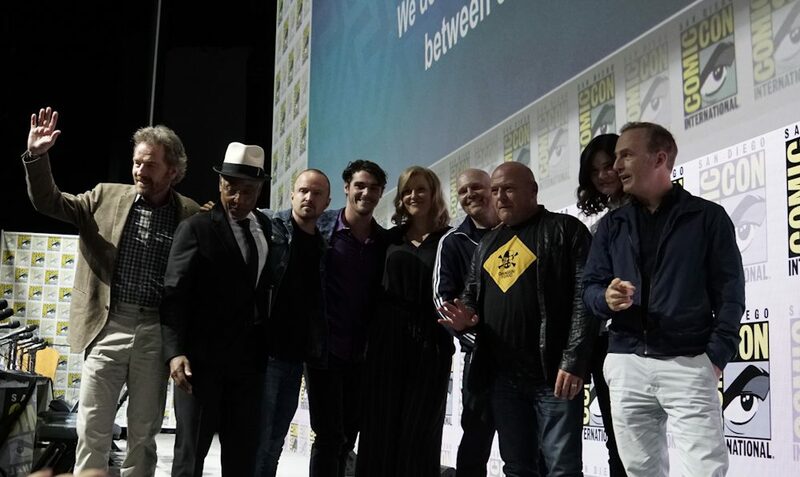 The cast and creator of the now legendary show Breaking Bad gathered for a 10-year anniversary panel at this year’s Comic Con. With nothing new to announce–nor any plans to revisit the characters fully explored in the show’s all-too-short five-year run–this was largely a solid excuse to pay tribute to the show’s legacy and tell funny stories of their time making the show. Most significantly when the panel was opened up to audience member Q&A, one fan asked Bryan Cranston whether he had any interest in rebooting Malcom in the Middle. 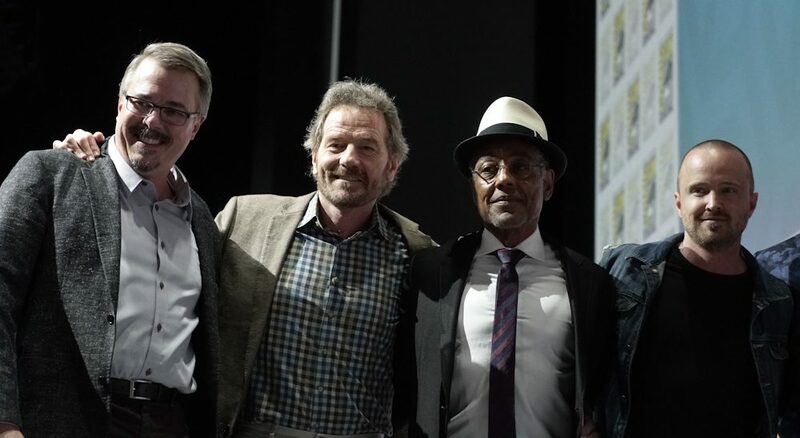 His fellow Breaking Bad cast members seemed enthusiastic about the possibility, but Cranston’s answer was short, biting and to the point, “Not so much.” Apparently Cranston considers that chapter of his career fully closed. 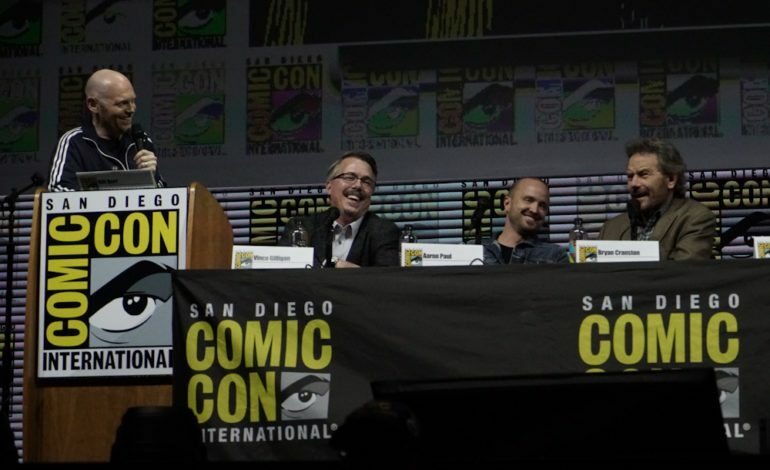 Elsewhere, show creator Vince Gilligan spoke in detail about how the show’s original plan was to kill Aaron Paul’s character Jesse by the end of the first season, but shortly into season one he realized there was no way that could happen. 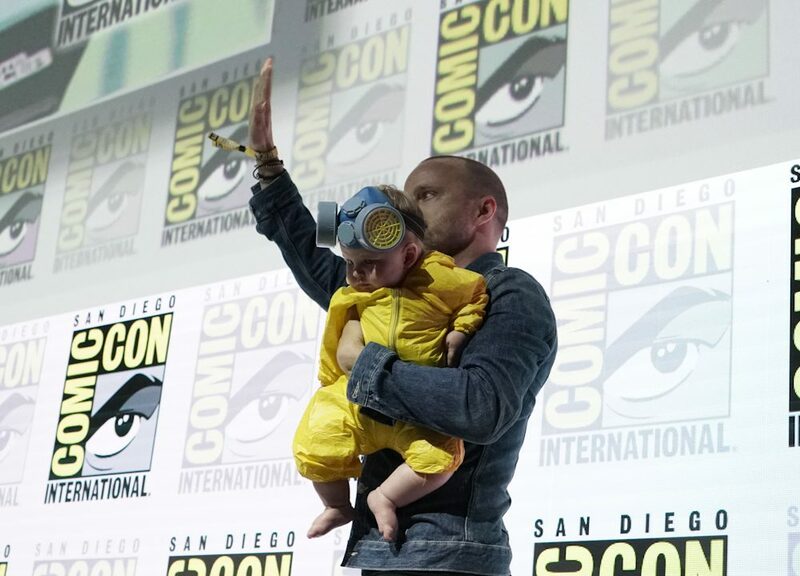 Aaron Paul delighted the audience bringing out his young daughter dressed entirely in a mini version of the famous yellow chemical protection costumes Jesse and Walter White would wear when cooking meth. Sadly, the immensely talented Giancarlo Esposito (who played White’s nemesis Gustavo Fring) was not given any chance to comment though Betsy Brandt did explain how her character’s profession was one she came up with and Gilligan accepted before they even began shooting. One fan did ask about the recent Walking Dead Easter egg that reference Walter White/Heisenberg, and while Gilligan was elated to hear about the Easter egg, he offered no solid confirmation or denial that there absolutely was no true connection between the two show’s worlds, though, likely one can deduce that it’s just a flattering nod to Breaking Bad rather than any kind of true bridge between the mythologies.